As a young child, you likely learned to draw a tree by using a few circular shapes to symbolize masses of leaves supported by a narrow rectangle to depict the tree’s trunk. And if you were in a creative mood that day, a few angled lines could be added to suggest its branches. 1992 San Clemente, California. Winter branches outside my studio window. 9B pencil. Of course drawings of trees could vary widely depending on where you lived as a kid. Tall triangles symbolized towering conifers. Or a long and curved line topped with serrated, curved shapes became a palm tree. 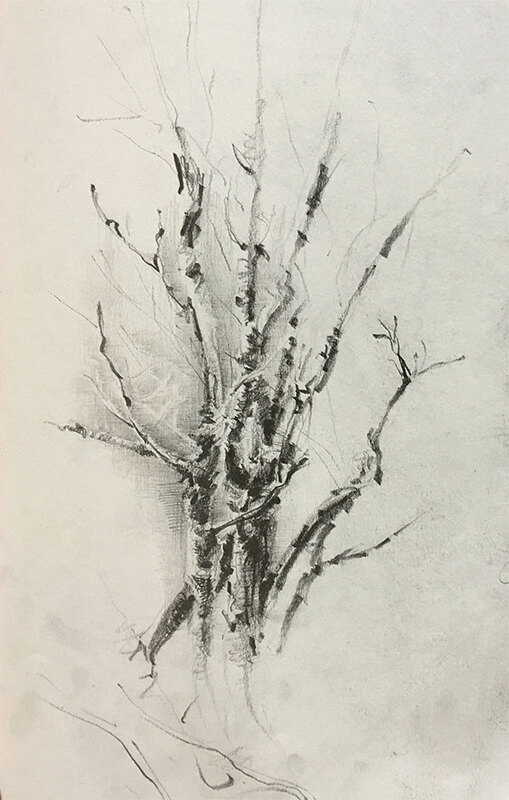 It was easy and fun to draw a tree. 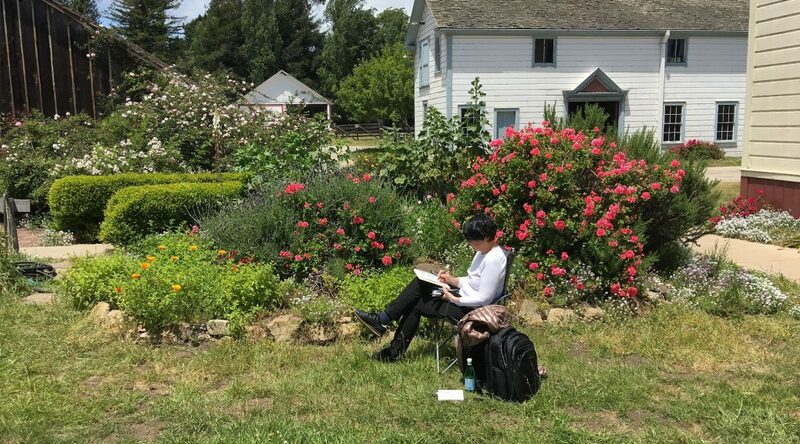 Unfortunately, the joy of drawing trees—and everything else—is abandoned by many kids as they become immersed in the rigors of writing, math, and reading. 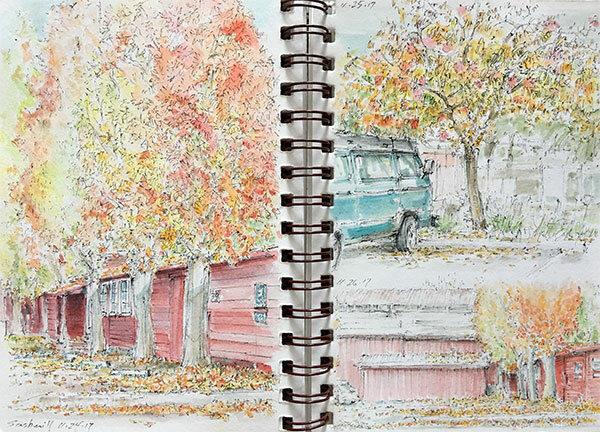 Most people leave childhood drawing behind to pursue life’s more grown-up callings. But not me. 2017 Santa Cruz, California. Fall leaves in the parking lot outside my studio. Micron pen, watercolor. Drawing became my livelihood and a continuous source of joy. And as an adult, trees have remained one of my core subjects of interest. 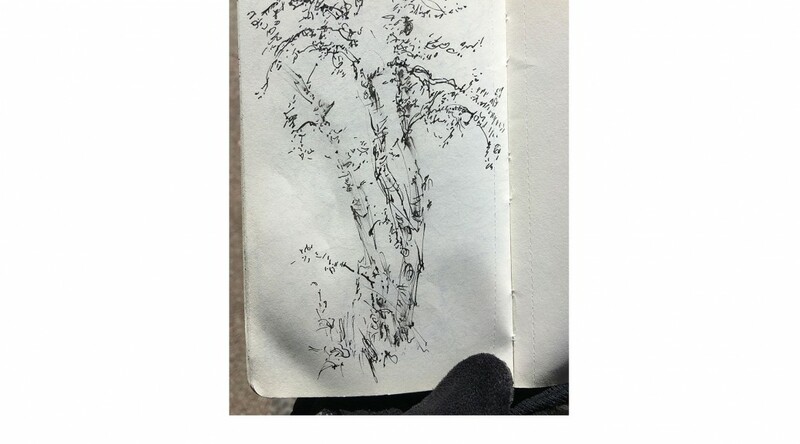 Various species of trees have been tapping their roots in the pages of my sketchbooks for several decades. It is like having my own forest of drawn memories bound together. Waking up to a misty Payne’s Gray sky that engulfs coastal Santa Cruz is common at this time of year. 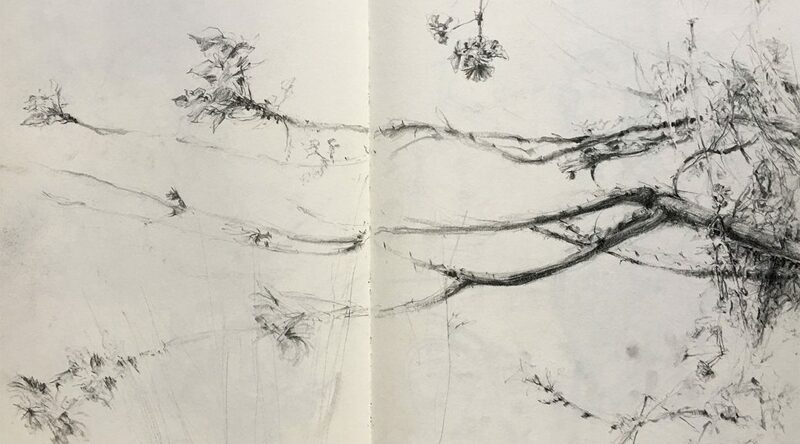 On this particular Saturday morning, I was hoping for summer sunshine that would keep our paper dry and help us to see and sketch crucial shadows. Fast & Furious or Slow & Curious?